Winter doesn’t have to mean the end of time spent outdoors. 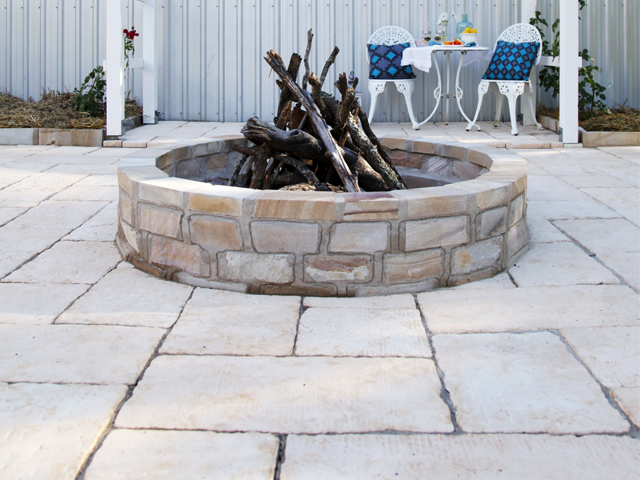 With some planning and preparation, homeowners can create a cosy outdoor space for cool evenings spent around a fire. 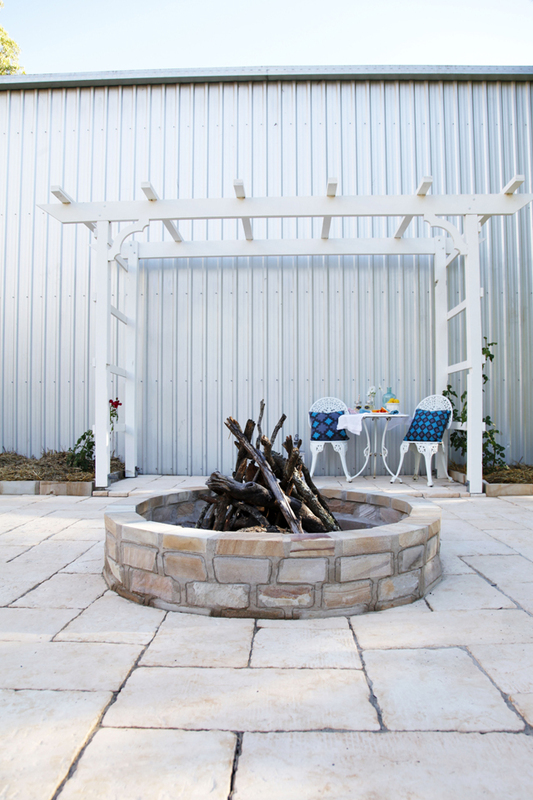 Melissa Darr, the blogger behind The Whimsical Wife, recently designed and built a 30m2 French-rustic fire pit area using Boral Bradstone Old Town pavers. “I wanted an outdoor space that would create happy and memorable moments for our family – huddling around the fire, toasting marshmellows and baking damper," said Melissa. “The paving formed the base of the project and with such a large area, choosing the right pavers was critical in bringing the overall look together. We chose Boral Bradstone Old Town pavers in Gironde, which come in three different sizes for a random and rustic look. “The pavers are pitted down and worn on the top and edges, reminding me of the heritage cobblestone laneways of Europe. I just adore them. They fit the French rustic theme perfectly and pick up the afternoon sun beautifully,” said Melissa. Planning was the key to her success. “We had a clear idea of what we wanted and set about planning our materials and quantities first. We visited Boral’s website to narrow our options and then visited a showroom to make a final decision. “We measured the space required for the fire pit and from there, used the Boral online paving calculator to determine how many pavers we’d need,” explained Melissa. The pavers were easy and quick to install, and the instructions were clear. “As it was quite a large area, we hired someone to level the surface. It took us just one day to lay the pavers. The last of the pavers were cut by hand using a grinder for a perfect fit against the fire place and we spent a few extra hours on finishing the edges,” said Melissa. Establish a clear idea of the garden’s overall look, as paving can form the foundation of a landscape’s theme. This can vary greatly, from a beach-inspired design to a contemporary European feel. Consider the practical requirements of the space. For example, poolside pavers should be salt resistant and non-slip, while driveway pavers must be able to withstand weight and heavy traffic. When selecting a colour, always look at pavers outside in the natural light. If the paved area is close to indoor areas, choose pavers that are a similar colour to internal floors to ensure consistency from the inside out. Select neutral coloured, large pavers to open up small spaces. Laying pavers in a stretcher bond pattern across the width of a path will make it appear more substantial. Measure the area to be paved and work out how many pavers will be required. Boral has a handy calculator to help with this, which can be accessed at www.boral.com.au/pavingcalc. A retailer or landscaper can also advise on quantity. Boral pavers are available in a variety of sizes, colours and textures to suit any style of home and garden. Boral’s pavers are suitable for patios, paths, steps and some can be used for driveways. For more information on Boral pavers, visit www.boral.com.au/pavers or call 1300 134 002.